The perfectly designed outdoor eating utensil. This Light My Fire spoon-fork-knife combo brings a bit of civilization to the wild and a bit of the wild to civilization. Designed especially for Light My Fire by Scandinavian designer Joachim Nordwall. 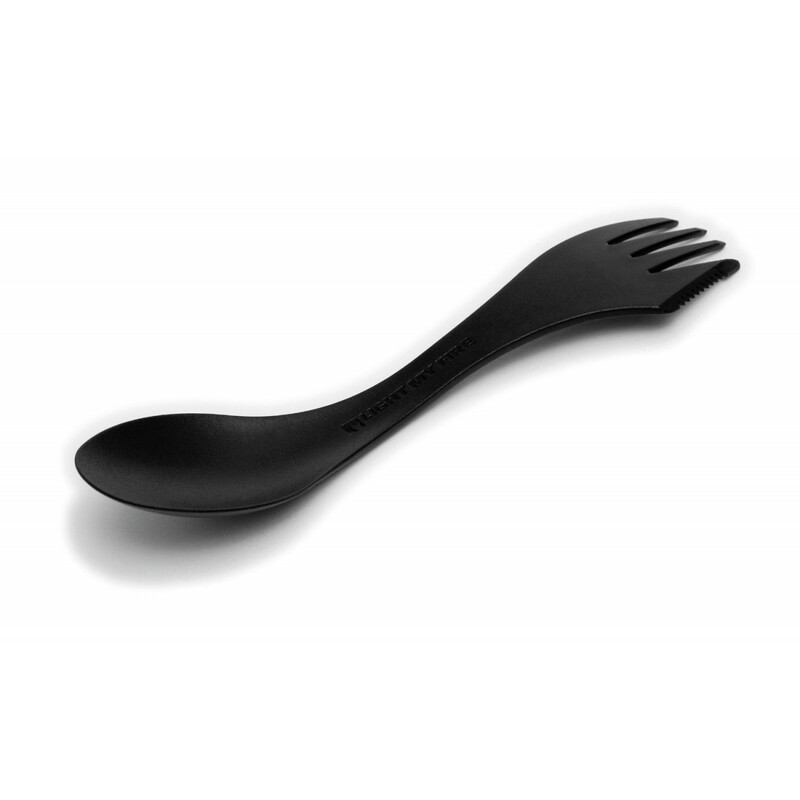 The Spork original is a spoon-fork-knife combo with a serrated edge on the side of the fork that is perfect for your backpack, boat, picnic basket, lunch box, purse, glove box, carry-on bag or briefcase. Full-size spoon and fork makes it easier to eat meals. The Spork original is made of BPA-free Eastman Tritan. Great for your next outing, no matter where it is. Dishwasher safe; Length: 6.75 inches (17 cm); Weight: 0.3 oz. (9 g). Made in Sweden.